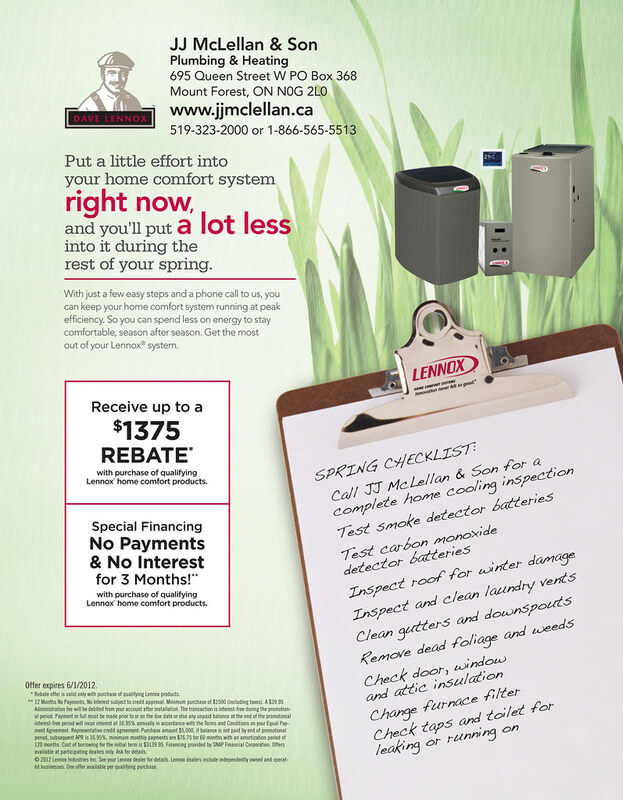 financing | J.J. McLellan & Son "
Our Spring Promotions have begun!!! Not only can you get paid to upgrade your heating system with rebates you can also save energy on your heating and cooling AND we can also offer you Financing with 90 days NO payments NO interest and the flexibility to pay the entire balance whenever you want AND for a very small cost we can also offer you a 10 year Complete Care Warranty on your heating system (or just a furnace, AC, hot water heater etc) which covers labour and parts!!! Complete peace of mind from a company who has been around for 4 family generations… since 1948! We are your local Lennox Premier Dealer, we service what we sell and more!